The question I am asked the most on a daily basis is, "Sylvia, what are your predictions for 2010, 2011, 2012 and beyond?" I predict so many new and interesting things are coming for us within the next two years. Some are positive changes that will affect the world at large. Others are changes that may affect only a certain group of people and will improve their lives. Here are my Sylvia Browne predictions! ...Children are not properly fed, clothed, educated, protected or given adequate medical care. ...Many in our population do not have a place to call home. ...Some of our youth get more attention from gangs and drug dealers than they do positive role models. ...People who are ready, willing and able to work cannot find decent jobs. ...Our elderly are not cared for properly either financially or medically. ...Some death row inmates are innocent. ...Some elected officials and large corporations do not think of the welfare of the people as a high priority - they'd rather just increase their bank accounts. I predict we'll develop strong resolve and resources to address these problems and come up with some good solutions. I predict a great rise in skin cancer in children until 2010. There is a lot of media coverage about the UV rays and many products to protect people against them. But people are still often careless when it comes to the sun. Then again, people could pay attention - and reverse this prediction right out from under me. I would certainly be all for that! I predict the President elected sometime between 2008 and 2020 will die in office from a heart attack. The Vice President who will finish their term will have an unpopular and mistaken intention to declare war on North Korea. By that time, North Korea will have weapons of mass destruction. In the middle of efforts to declare war, I predict the Vice President will be assassinated. There will be a worldwide investigation into the Vice President's death with both pleasant and unpleasant surprises. A lot of attention will be paid to one of the investigative congressional committees and serious accusations will be made regarding missing funds. Finally, it will be revealed that their accusations are part of a conspiracy to damage the American people's faith in their government, with the media manipulated to "fan the flames," and the committee will be vindicated in the end. I predict we can truly say "goodbye" to the common cold in 2009 or 2010. The solution to the common cold involves heat. Keep in mind that the body's first response when we develop a cold is to come down with a fever. Many doctors today no longer rush to push patients to take temperature reducing medications when they come down with a fever, unless the fever is dangerous. They feel the immune system is the patient's best medicine and should be given a chance to fight back. So as the immune system fights a cold with heat, the cure for the common cold certainly may lie in this first signal to heal. I predict that a small cubicle will become available in doctor's offices sometime in 2009 and it will be heated to a very precise temperature. There may be a special vapor placed into the cubicle. Patients will stand in the cubicle for approximately five minutes and the rhinitis germ will be destroyed. Another wonderful bit of good news on the health front with this discovery - since this cubicle can easily take on the rhinitis germ, many people that have breathing problems with allergies and asthma complications will find some breakthroughs as well. We will see this cubicle discovery used for healing for those with breathing disorders. The cubicle will become available in 2009 or 2010. I predict hypnotic past-life regression will become available through a group of trained psychologists on both the east and west coasts of the U.S.A. in 2009. It will prove to be quite a success and will be widely practiced by 2011.
a href="http://ow.ly/3Lk7Q"Psychic predictions/a don't go with any certainty at all, even if they're given by the best psychics. 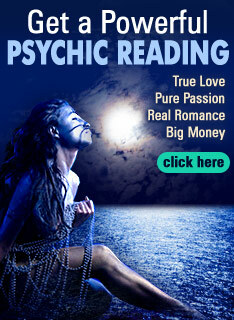 Psychic predictions are merely a reading of what's to come, based on how things are today. So if current conditions are changed or altered in any way, the prediction will also change. THESE ARE NOT SYLVIA BROWNE'S PREDICTIONS! She had this to say about it on her Facebook page: "I'm sitting at the airport on my way to my lecture in Florida and I was told by someone passing by that they saw my 2011 prediction on spiritnow.com. Please be aware that these are not my predictions. I am no longer affiliated with spiritnow.com and anything that they are promoting on their website and/or selling in the spiritnow.com store." Follow her on Facebook. Let love inside so we can share it more than we have ever don before. I believe that the storm will wrap up but during the storm our faith will be tested and it may seem like more than you can take...SURRENDER! Fighting up stream makes life a never ending struggle to find dry land to rest long enough to catch your breath. Energy is the makeup of everthing and it is not made either good or bad we are the ones who taint it with our thoughts and effect the energy. Energy is never good or bad, it just is (neutral). We are what colors the situation and labels it negative when we experience unplesant things. Remember growth is our ultimate goal and although pain isn't nessesary for growth people too often believe it is an ingredient required. Pain isn't the only way we learn. Our experiences are made up and colored based upon our unique thoughts, beliefs, and expectation. Also keep in mind everyone perceives what "reality" is differently. Its pretty neat when u think about it..Thanks Sylvia God Love You I Do! I believe there is such a place as "The Other Side." Where are the 2011 Predictions for Sylvia Browne ? A lot of the other Psychics have them..